Age and gravity can play cruel games with your skin. When middle age and mid life crises star to wreak havoc upon you, you realise that your facial muscles too have decided to join the fray and turn your face into an open ground for wrinkles and fine lines. Aging has never been kind to anyone. Along with the age come fine lines, loss of elasticity in facial muscles, wrinkles, crow’s feet and saggy skin. The good news is that these can be treated with a facelift.Facelift is a procedure that tightens the skin of the face from the eyes down to the neck, lifting it into a younger-looking position. There are many different kinds of facelifts, ranging from a deep-plane facelift to a mini-facelift. All of these different procedures aim to improve different areas of the face. A consultation with your doctor will give you a clearer picture of what is attainable and what’s not. With age your skin loosens and is no longer faithful to your bone structure. A face lift surgery removes excess skin and lifts the remaining skin to improve your appearance, giving you a smooth, natural look. Wrinkles are an eye sore and you can now easily get rid of them. 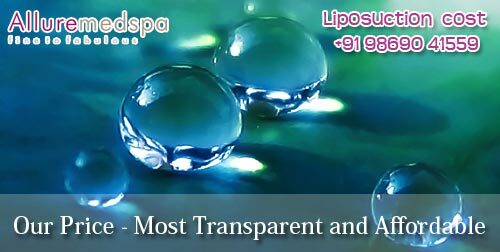 Loose skin, excessive facial fat and loose facial muscles leave you with deep wrinkles. A facelift will tighten your facial muscles and get rid of deep wrinkles. Ageing makes you lose your skin elasticity and weaken your tonned muscles. Facelift surgery can enhance facial muscle tone by lifting and tightening the tissues. This results in muscles not stretching out as quickly. Along with age, a busy lifestyle takes its toll on your skin. This will not only ruin your skin but also tire it out. Facelift help your face look fuller,relaxed,refreshed and more youthful. Unlike most cosmetic procedures facelift lasts long. Most skin treatment requires you to come back for more. But with facelift you have the gift of longevity. The results will last for years if you care for yourself. There are quite a few convincing reasons why one should go for a facelift, but none is more appealing than the fact that you are beautiful and your age should never be defined by lines on your skin.